- If you would like to change your vote, make a new post announcing your change. Do not edit your original post. - Vote changes will not be allowed after Round 2. - Iceman put this rule in effect because it will add another difficult dimension and that keeps people from flip flopping too much. So get all your vote changing out in the first 2 rounds. - In the event of a tie, a 1 hour extension will be given and someone who has not voted already will vote. Only the first vote within that hour time period counts. If 2 or more people vote, all the votes but the first one will be null and void. If no one votes within the hour then I will flip a coin. If you have questions please pm me with them. I hope you enjoy this tournament! The winners of each round will be included in this post with links to each daily match and the first match will be in the post below. Sorry for the delay kicking off, everyone! Here we go with the Fourth Doctor story tournament!! "It's the end... but the moment has been prepared for." The Doctor takes Adric and a young air hostess named Tegan Jovanka, who has come aboard the TARDIS by accident, to the planet Logopolis, home of a race of mathematicians whose help he hopes to enlist in reconfiguring the outer shell of the TARDIS. "You're a machine, aren't you? I usually get on so well with machines." The TARDIS is hijacked in the vortex by a time sensitive Tharil named Biroc, and brought to a strange white void. Biroc wants to free the others of his race who are being transported in a slave ship, captained by Rorvik, which is also trapped in the void. The only other thing present in the void is an ancient gateway leading to a decrepit banqueting hall. This is the domain of the Tharils, who in a previous time were cruel masters to their human slaves but have now repented. The humans built the Gundan robots to kill the Tharils, and this led to the latter race's downfall. Logopolis for me. Great story. Logopolis for me - one of my all time favourites! Logopolis takes no prisoners, moving ahead 6-nil. "Some fifty years ago I knew a man who solved the insoluble by the strangest means. He sees the threads that join the universe together and mends them when they break." The Doctor is invited to visit the planet Tigella by its leader, Zastor, who has become concerned about disputes between his people's two opposing factions, the religious Deons and the scientist Savants. The TARDIS is intercepted by the megalomaniacal xerophyte Meglos, last survivor of the planet Zolfa-Thura, and trapped in a chronic hysteresis - a time loop - but the Doctor and Romana manage to free it. 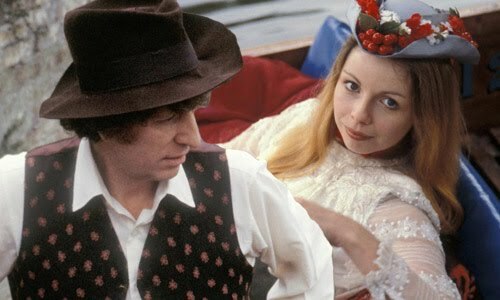 "When I was on the river I heard the strange babble of inhuman voices, didn't you, Romana?" 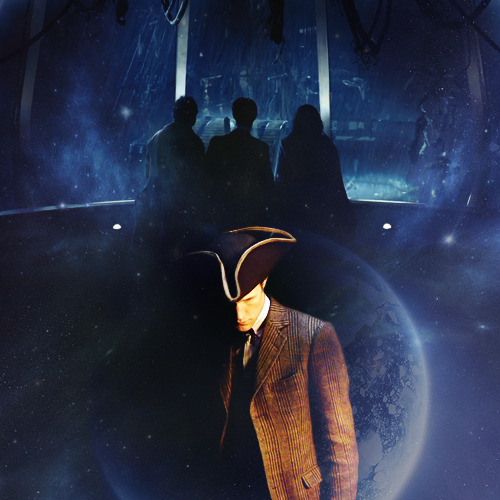 The story revolves around the lost planet Shada, on which the Time Lords built a prison for defeated would-be conquerors of the universe. Skagra, an up-and-coming would-be conqueror of the universe, needs the assistance of one of the prison's inmates, but finds that nobody knows where Shada is anymore except one aged Time Lord who has retired to Earth, where he is masquerading as a professor at St. Cedd's College, Cambridge. Luckily for the fate of the universe, Skagra's attempt to force the information out of Professor Chronotis coincides with a visit by the professor's old friend, the Doctor. Shada a brilliant story and I wish it had been completed properly! My experience of it is as a VHS release with Tom Baker's linking narration. Meglos had a plant as a baddie. Not a cool plant baddie like the Triffids or the Vervoids. Just a rather irate cactus. I don't know why, but I love this line! Pangol: How did you get out?" The Doctor : "Through a hole in the back." Pangol : "But there isn't one." The Doctor : "There is now." The Doctor and Romana visit the Leisure Hive on the planet Argolis, the surface of which is uninhabitable following a twenty minute nuclear war between the Argolins and their enemies the Foamasi. The Argolins themselves are now sterile. Pangol, the youngest, was created by the Tachyon Recreation Generator, a machine that runs games in the Hive. The Doctor : "Interfere! Of course we should interfere. Always do what you're best at, that's what I say." The Leisure Hive - though Nightmare of Eden is in a different league from the stories on either side of it.